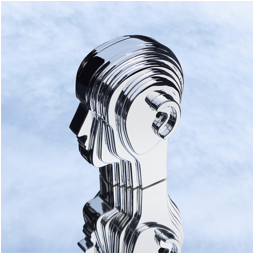 Belgian electronic pioneers Soulwax just shared the video for their track Is It Always Binary, taken from their recently-released album From Deewee , their first proper studio album in over a decade. The film provides a glimpse of the band’s universally acclaimed live installation imagined by Soulwax and III-Studio under the name of Transient Program for Drums and Machinery. The performance was recorded and filmed live on August 29th at 3 Mills Studios in London, captured by James Willis at Bullion Productions. Soulwax will make their way stateside next month to play Coachella and will also make a stop in Los Angeles at The Fonda Theatre on April 19th. The live show has a specially designed stage set and seven touring members, including original band member Stefaan Van Leuven on bass guitar and synth; three drummers – Victoria Smith (Jamie T), Iggor Cavalera (Sepultura, MIXHELL) and Blake Davies (Turbowolf); and, Laima Leyton (MIXHELL) on synth and backing vocals.